An all-female directing line-up shouldn’t make headlines. 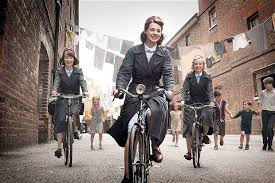 As it enters production on series three, Call The Midwife has been making headlines, both here and in the US. The reason? Every director on the series will be a woman. Although this is said to be by happy accident rather than design, helped in no small part by the intimately female subject matter, it does raise the question: why is this so unusual? It’s not without precedent – the third series of Scott and Bailey beat Midwife to it – but it’s far too early to say the tide has turned. As I look across the current drama landscape, it’s clear that these two shows are indeed news-worthy because all-male directing line-ups are still the norm. I knew back in 2009 that the television directing landscape was male-dominated. Working on Blue Murder for ITV Studios, I did a huge trawl of directing talent working in the industry. Of the 140 names I had, only 16 were women, a paltry 11%. I’d assumed that since then things had improved. But recent research by Directors UK found that the number of women directors in UK drama has dropped significantly in the past five years. In the US, the Directors Guild of America revealed that in 2011/12, only 15% of scripted television episodes were directed by women. Recent big dramas such as Broadchurch, Ripper Street, Death In Paradise, Luther, DCI Banks, Prisoners’ Wives and Mr Selfridge clocked up 112 hours between them, hiring 29 directors. All were men. The continuing drama series don’t fare much better: women make up 18% of the directors on Holby City, 17% on Casualty and 13% on Waterloo Road. Organisations like Women in Film & Television do much to give the issue profile but we need more research if we’re to start tackling this dearth. Thankfully, there is progress here. Directors UK formed the Women’s Working Group, chaired by Beryl Richards, which has been able to mine broadcasters’ annual residuals data to track the gender split. Kate Harwood, BBC’s head of drama production, England, has shown her support. While active encouragement into the industry is to be applauded, is there a lack of women pursuing directing as a career? Or are we just not hiring those that are emerging? The evidence from the UK’s film industry, where female directing talent is similarly underrepresented, suggests that women are setting off on the path to a directing career. Briony Hanson, director of film at the British Council, notes that at film schools and among short filmmakers, there are as many women as men. Then suddenly they disappear. It’s the men who go on to make their first feature film and break into television drama directing, becoming the next generation of film and television directors. The BBC is undertaking a study of hiring practices in BBC drama to determine why it seems so difficult to get a drama directing job if you’re a woman. It’ll be interesting to see what issues the research reveals. Hopefully, we can then take steps to help those talented female directors not just to break into the industry but to sustain successful careers as directors.